When propagation favours stations located on the prairie, one of the most common stations is CFCW in Camrose, Alberta. In fact this is one of very few non-east coast stations that I managed to get in the log, when I lived in southernmost Sweden. That was in th 80’s and CFCW, on 790 KHz, is still one of my favourites. The programme format is classic country and from time to time, the station is heard with a tremendeous signal up here. On october 28, out on Cape Skagen, I got a pretty good ID on CFCW and I dropped a report via e-mail with an audio clip to the station. Got a prompt answer, also via e-mail, from Doug Mattice who is the Chief Engineer on CFCW, confirming the report. Doug also promised to drop a QSL via snailmail. It’s always nice to get such an old friend as CFCW confirmed again. Today, almost 30 years later, I heard KJNP North Pole AK-1170 for the first time in my life. The signal was very faint, but it was there! With light music, a few short announcements and then, at 0900 UTC: the ID that I’ve been waiting for since I was a teenager: “KJNP North Pole”… I was stunned. Was this the end of my DX:ing “career”? Was this it? What now? Thank you for your recent reception report and recording. We have read and listened to your report. Although it was faint, we could still understand it and you did indeed, heard KJNP. We are enclosing our QSL card as well as some information about our station. KJNP is a 50,000 watt AM station with a country/gospel format and our reason for being on the air is to let the top of the world know that there is a Lord in Heaven that loves each one of us. All we need to do to have Jesus as our personal friend and Savior is to repent from our sins and ask Him into our hearts. We do that, we establish our communication line with our Heavenly Father. With the communication line established, we can receive His signal loud and clear. We also have a 25,000 watt FM station with a classical/sacred format and Channel 4 TV station with a religious/family format. The AM station went on the air October 11, 1967 at 10,000 watts and was increased to 50,000 watts in 1970. The FM station went on the air October 11, 1977 and the TV station went on the air December 7, 1981. 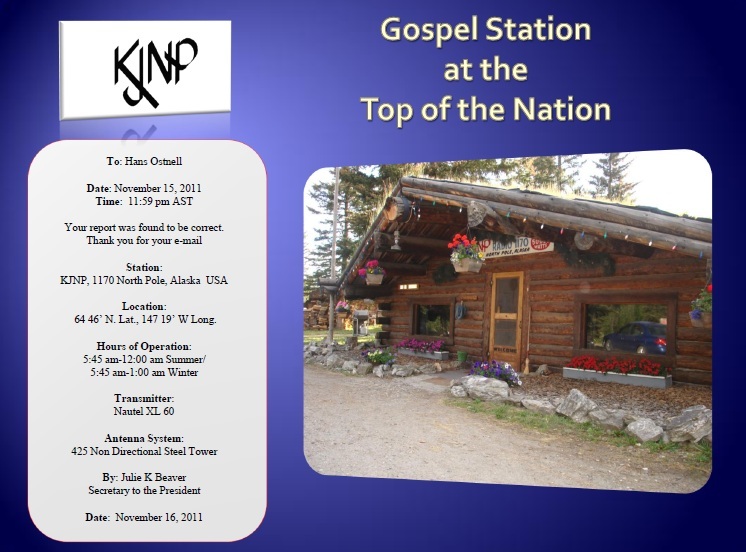 Our AM station literally reaches across the “Top of the Globe” reaching many listeners with the Good News of salvation. During the winter months from November to March we broadcast religious programming in the Russian language into the former Soviet Union. KJHA went on the air in Houston, Alaska on July 8, 1998 broadcasting by satellite from North Pole, Alaska reaching the Matsu Valley in South Central Alaska. In addition to broadcasting, we also have a Bible distribution ministry called Bibles For Others which operates out of Grand Rapids, Minnesota. Through that ministry we mail Bibles to individuals in third-world countries free of charge upon request. We also collect toys and clothing through the year for distribution at Christmas to children in the villages of Alaska. All the staff at KJNP are here on a voluntary basis and do not receive any pay for their services. Each person raises their own support before they arrive and are usually sponsored by a church organization, friends, or relatives. We furnish room and board for singles and cabins for those who are married to live in. We also have some volunteers from the surrounding community who come in and help as they can. Again, thank you for your reception report. We enjoyed hearing from you. You can listen to an audio clip of KJNP here. 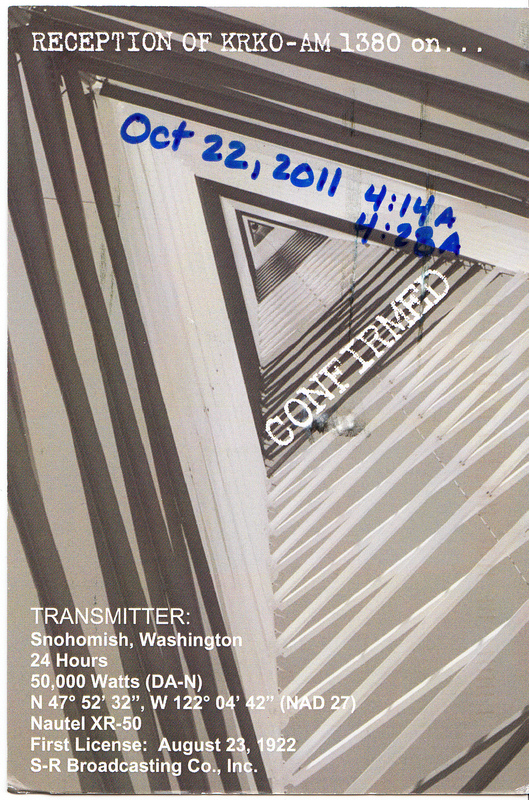 The original clip has been replaced by a better clip, from a reception of KJNP in January 2012. What else then? Well, I’m listening from my work these days. Going to Cape Skagen has been impossible for a while, due to weather conditions and lack of daylight. My BOG:s are stretched on the lawn outside our station building. 200 meters in 335 degrees and 200 meters in 315 degrees. Noise level is of course higher than it is out on Cape Skagen, but things are really working. And it’s way better to listen at work than it is not listening at all! KBRW Barrow, AK-680 was booming today around 1500-1530 this afternoon! So, when there is propagation, I’m hearing good things – even if the noise level is a bit too high. …arrived in just a few days over a week. Nice! Anyway, I was listening for a while this late afternoon, and there was a few interesting signals from the area around Iran, Afghanistan, Pakistan and India. On 1008 KHz Radio Pakistan, Hyderabad was present around 1700-1730 UTC and on the same frequency I also managed to get a nice local-ID from the IRIB Regional Semnan at 1730 UTC. On 1242 KHz All India Radio, Varanasi was quite strong for a while between 1730-1740 UTC. I haven’t yet checked my recording for a possible local-ID at 1740 after the Delhi-news, though. 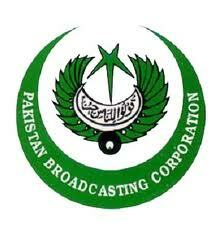 And finally, on 1341 KHz Radio Pakistan, Bahawalpur was dominating the frequency just before c/d at 1809 UTC. I even got a solid ID after the news at 1806. Since I had quite some work to do, I didn’t have the time to continue listening after 1830 this evening, but if there still are “better than average” propagation into this area tomorrow, I will pinpoint 792 KHz around 1700 UTC, hunting for Nepal. …say no more. Going to the Pub tonight. Yet another QSL arrived via e-mail today. It came from KFNW-1200, signed Gary L. Ellingson, Director of Engineering at KFNW who also is a radio amateur (callsign WAØWHE) and SWL with a particular interest in the mediumwave band. A nice letter in .pdf-format, which also will arrive via snailmail. Thanks, Gary! You bet, Gary! KFNW-1200 has a very nice signal over here, when propagation is favourable. The audio file can be monitored here. Ya y! Got another QSL this evening. This time it was Matt Heinrichs, Broadcast Engineer on Goldenwestradio, who kindly answered and confirmed my reception report to CHSM-1250. Matt tells that CHSM broadcasts on 1250Khz at 10kw, 24 hours a day. 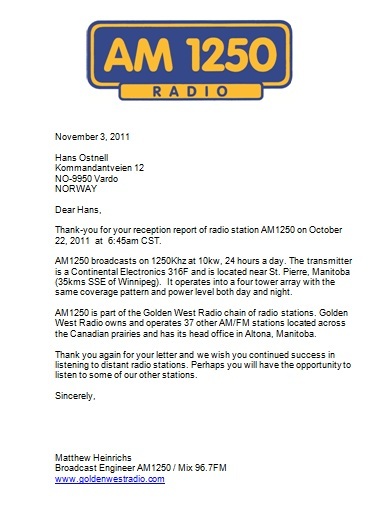 The transmitter is a Continental Electronics 316F and is located near St. Pierre, Manitoba which is 35kms SSE of Winnipeg. The transmitter operates into a four tower array with the same coverage pattern and power level both day and night. CHSM / AM1250 is part of the Golden West Radio chain of radio stations. Golden West Radio owns and operates 37 other AM/FM stations located across the Canadian prairies and has its head office in Altona, Manitoba. Anyone who is interested in listening to the audio file, can do it here. Always nice to end up the day with a nice NA-QSL, isn’t it? 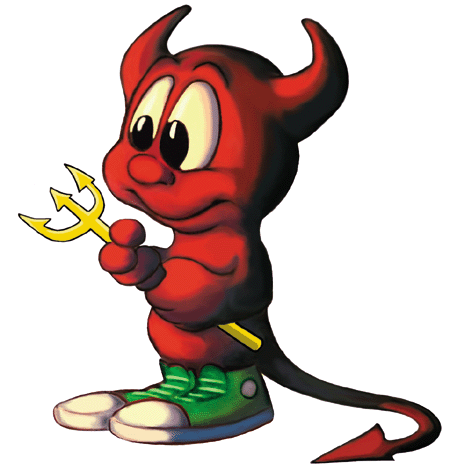 My intention with sharing my audio files here in the blog, was to let people listen to the file here on this site, not downloading them. I constantly get messages from box.net telling me that “someone downloaded this” and “someone downloaded that”. I can’t see any reason for anyone anonymous to download any audio files from my site without asking me first. Unfortunately, box.net doesn’t provide any possibility to prohibit downloading, so from now on I will not publish any new audio files containing “goodies” from North America or Asia until I get the station verified myself. If I need to share a file with someone, I will do so by using plain e-mail. As soon as I get a station verified, I will publish the related audio file. Please note that all files that currently is published in the list is free to download.